This is the album that eventually became "Young Americans". 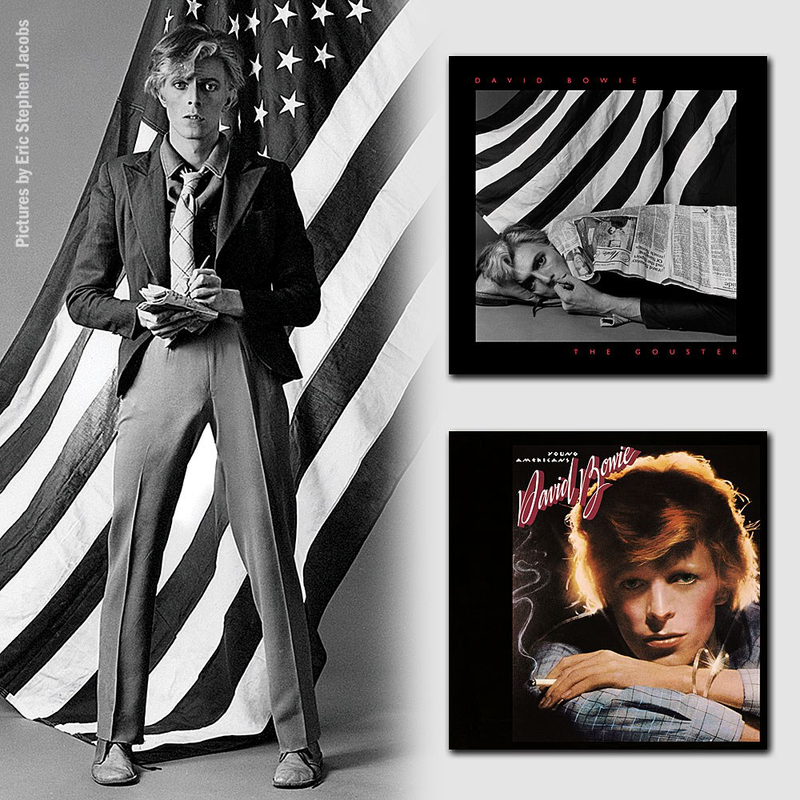 The track listing here is how the album was envisaged initially, before different tracks were added and it morphed into "Young Americans". It is only seven tracks long, three of those that subsequently appeared on "Young Americans" appear here as "Gouster mixes" and contain a few differences to their eventual versions. As you can see, it was even given its cover, so it was very close to being the actual release. Having lived with the original album for so long, it was, after the 2016 release of this, (as part of the "Who Can I Be Now?" box set), somewhat difficult to get used to listening to it. It kicks off with the addictive dance/disco adaptation of "John I'm Only Dancing (Again)", which renders the original glam rocky version totally unrecognisable. It is full of saxophone and disco grooves, but they are very effective, there is just no relation to the original song. "Somebody Up There Likes Me" is a different mix to the one eventually used. It is the better one in my view - far more bassy, rhythmic, and the saxophone, although omnipresent as on the original, does not overwhelm the track. The soulful "It's Gonna Be Me" and "Who Can I Be Now?" 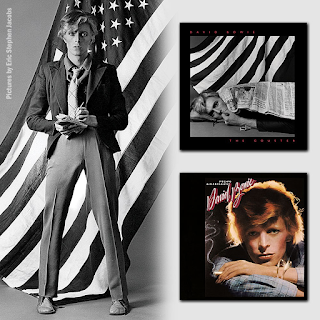 are undoubtedly two tracks that fitted the "soul" concept of the album, but both were left off the eventual "Young Americans" album, which was odd, because they are both excellent, particularly the latter. "Can You Hear Me" has an alternative "Gouster" mix. It has a pronounced "bongo" style drum in the intro and beyond, and the tempo is slower, more soulful, for the laid-back verses. The backing vocals are less harsh and less dominant, more subtle and gentle. 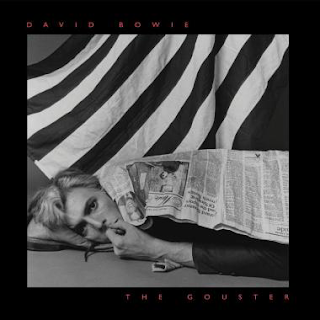 Bowie's vocal delivery is slowed down and more soulfully smoky and throaty. Then there is "Young Americans" which is the original version. I am glad, because it is total perfection and is one of my favourite David Bowie songs of all time. "Right" is the other "Gouster" mix. Again, it is on the more bongo-ish percussion and the (this time) more blatant backing vocals that there are noticeable differences. It also seems bassier to my ears. There is no place on here for "Win", "Fascination", the Beatles cover "Across The Universe" and "Fame". Fans will no doubt discuss with one is the better for years. Personally I would add all the other tracks but keep the three "Gouster mixes" over the others.